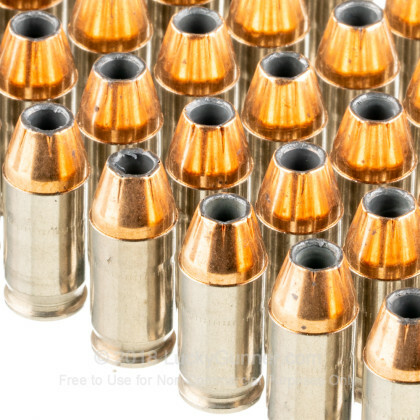 Top of the line, Premium grade home defense 380 auto ammunition in stock! 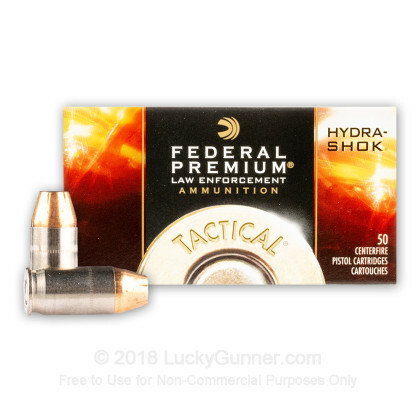 Federal's Hydra-Shok JHP ammo is designed to deliver controlled expansion with it's unique center post design as well as a notched jacket that results in efficient energy transfer. 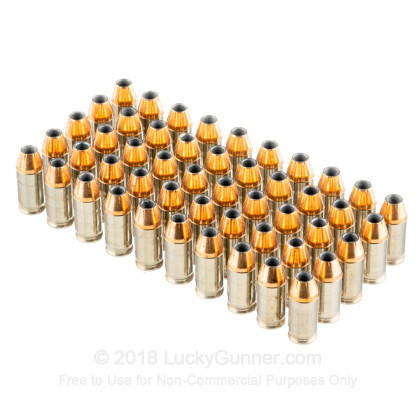 This deep penetrating Hydra-Shok round is an ideal round for self-defense. 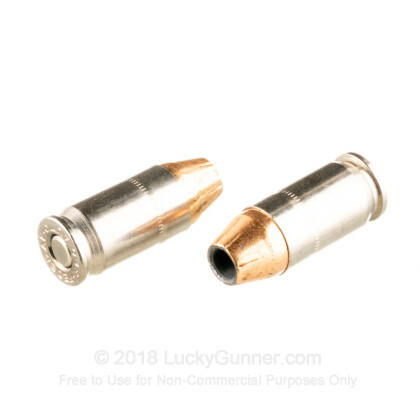 Trusted by Law Enforcement Agencies, this round meets the expectations of those who demand reliable, hard hitting performance. This product is brand new, nickel plated brass-cased, boxer-primed, non-corrosive and reloadable. 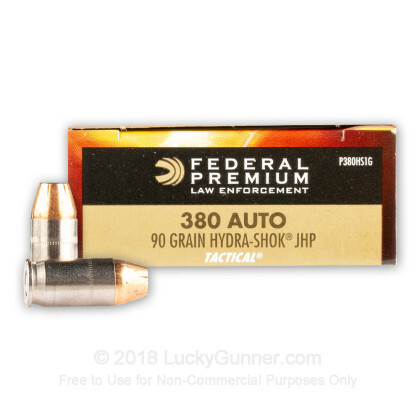 We don't have any reviews yet for this particular .380 Auto (ACP) ammo from Federal. 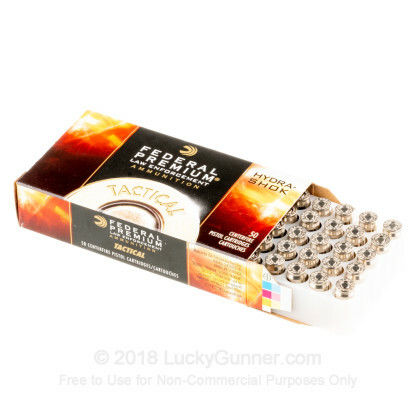 If you'd like to be the first to review this particular .380 Auto (ACP) ammo from Federal, fill out the form below.